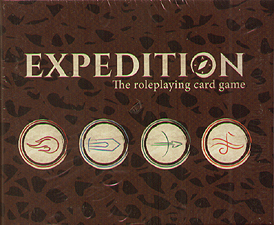 Expedition is the first endless card-based roleplaying game. With a free app connected to a growing library of quests, you'll always have something new to play! 1-6 players can go on epic adventures in under an hour, regardless of their roleplaying experience level.